A multi-talented farm boy from Hutchinson, Kansas, Brett Riley considers himself the proverbial "every man". Everyone who comes across this "slim-fat" white guy with a small town Kansas demeanor and a friendly "I've met this guy before" face, has the same reaction: "Didn't see that coming." An accomplished comedian and vocalist with an endless grab bag of stories, observations and opinions, his motto is "Forget the Formula"; because "we are the formula and in a nutshell, we should strive to leave our own footprints rather than follow in those of others." His comedy career was born at the age of 20 when he was signed up by a friend for an open-mic night. "The club owner said that he was going to give me the light in five minutes and that means you're done and off stage, no questions asked. But the light never came on and, at the time where I realized I'd been up there for about 15 minutes, I thanked the crowd and went off." The club owner came up to me and offered me $200 to come back and open for the guy he had coming in from Memphis, which for us, was the big city. That's where it started." Two years after moving to LA, Brett was stopped in his tracks by a near fatal car accident. Afraid of being forgotten, he limped back on stage with crutches just two weeks after the accident. Today, after doing stand-up for fifteen years, Brett is a crowd favorite. His act is ever evolving, much like himself. His material comes from his real life experiences. He talks about life as a married dad, his real life frustrations, and his take on pop culture. His audiences find him totally relatable and engaging. 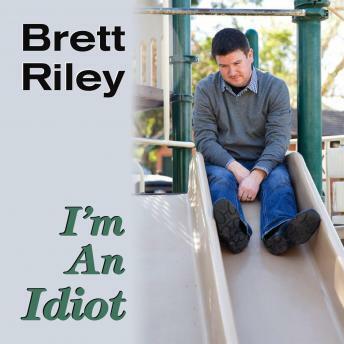 Brett Riley is a stand out performer is a Los Angeles comedy scene that is overflowing with talent. He is a force to be reckoned with!